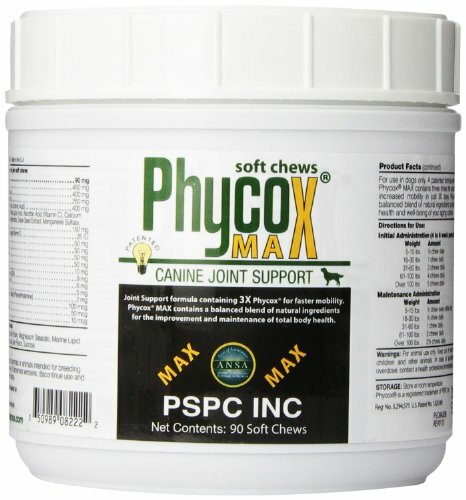 Phycox MAX Soft Chews Canine joint support formula containing 3X Phycox for faster mobility. Phycox MAX 3X is a novel, patented support matrix containing 3X the amount of phycocyanin, an extract of blue-green algae, found to function as an anti-inflammatory and antioxidant. 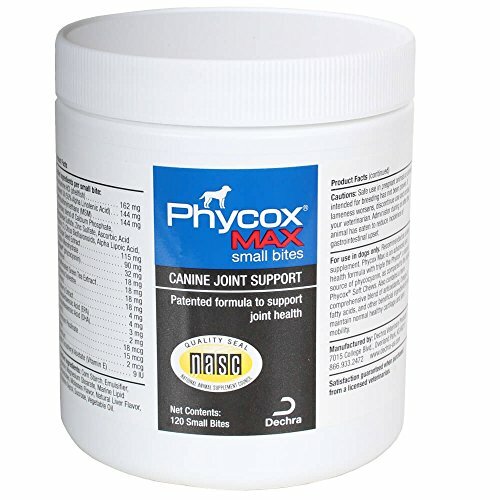 The Phycox MAX 3X formula is geared towards the mature dog for increased mobility in just 30 days and contains a balanced blend of natural ingredients proven to aid in the general health and well-being of your aging and mature dog. Nutritional requirements change with age. Phycox MAX 3X addresses concerns with heart health, obesity, blood glucose levels and urinary tract health that are common in your mature dog. 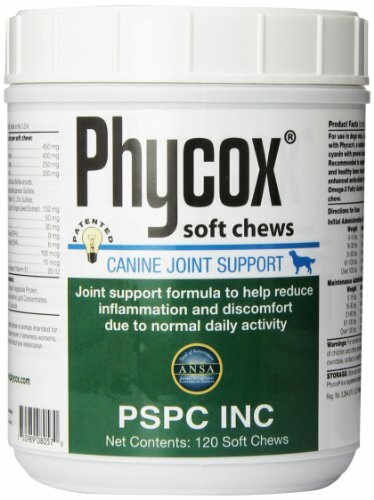 Phycox-JS Soft Chews are made with a patented formula with Phycox, a natural source of phycocyanin with proven health benefits. Recommended to support joint mobility and healthy bone structure. Provides enhanced antioxidant protection and Omega 3 Fatty Acids in a palatable soft chew. Sold in a convenient 2 pack for multi-dog households. 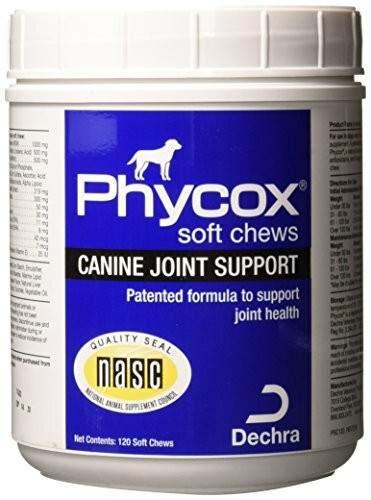 Phycox MAX Small Bites Soft Chews For Mature Dogs 120/bottle products contain the same patented joint relief as in original Phycox, now with triple strength Phycocyanin!.